A note to any current or aspiring cable TV programmers: never underestimate what viewers you can pick up at the wee hours of the morning. In recent years when I visited my friend Rob in Portland, ME, we’d come back from the bars and occasionally, he’d have an episode or two of The Travel Channel’s Man v. Food on his DVR. I always thought the show was really entertaining but always forgot about it after I left…even after I found myself watching a marathon after everyone else had passed out. Almost three weeks ago, Rob told me the show did an episode in/around Portland, so I had to watch. In the process, I decided to start DVR’ing the series in case there were a few others along the way that were worth my time. In that time, something crazy happened. It seems I’ve become a bit of an addict (think TV antenna instead of heroin needles). As it stands today, I’ve torn through at least 40 of the 56 episodes and have no plans to quit until I’m completely caught up. I watch a couple episodes at night and maybe one if I come home for lunch. Alright…maybe two at lunch. For the love of Monte Cristo, what’s happened to me? 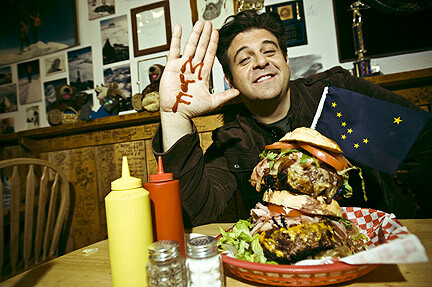 If you’re not familiar with MvF (yep, I’m now using the acronym), it’s a 30-minute show that revolves around host Adam Richman and his travels across the country to take on various mass quantity and heat/spice-centric eating challenges. As I’ve watched, it’s incredible to note just how many of these various challenges there are and I don’t think he’s even come close to scratching the surface. – Opening sequence where Richman lays out the location, challenge and a challenge-related pun. – Intro of the city he’s in and a stop by a local restaurant for one of their famous dishes. Phrases like “mouth-watering”, “savory” and “delicious” are thrown around liberally. – Hunger usually ensues at this point. Never watch this show on an empty stomach. EVER. – After the first commercial, the 36-year-old Richman takes us to another local spot for another famous offering. These stops are where the show really shines as Richman is masterful at illustrating what makes these places so important to the city. It is The Travel Channel, but it’s still noteworthy how well done it is. – Another commercial and we get the challenge itself where Richman shows how everything is made, usually feigning fear and spitting out more quips, and then, it’s on. He even has a crowd around him, filling the dining establishment to cheer him on as he shovels food and drink down his gullet. – Halfway through the challenge, we get another commercial but not before a tease that Richman is struggling with the challenge (conflict!). We return, he either succeeds or fails and that’s the show. And that, my hungry friends, is MvF in a nicely wrapped 24-minute bow. Richman is instantly likable and looks unlike most hosts on these types of shows. Slightly overweight, he comes off like a normal person and acts as if he’s having the time of his life. I learned that he is a trained actor and you can tell as there’s a bit of ham (pun slightly intended) in his act, but it works. His trademark “MMMMMMMMMMMMM!” when he samples something he likes is worthy of a drinking game. The producers and those that line up the locations before hand are the unsung heroes as they always seem to connect with the region he’s visiting. For the Portland edition, I honestly had never heard of Trade Winds where he did his challenge (it’s in Arundel, which is just outside Portland) but he also hit up Nosh in town and a seafood restaurant in Cape Elizabeth. It was a wide variety but also a great slice (pun!) of the area’s food offerings. But every stop seems so interesting to go to. After the Durham/Raleigh/Chapel Hill, NC, edition, I texted my friend Brittain (a UNC grad) to see if she had been to one of the locations. It creates immediate destinations to visit upon visiting some of these locales, key when you’re visiting Butte, Montana, Boise, Idaho or Richmond, VA. There are some hokey spots in each show (the forced crowd prompts as Richman eats and the post-challenge “press conference” questions are awkward at times), but when you’re talking about a show that is about a guy doing food challenges across the U.S., I suppose that comes with the territory. 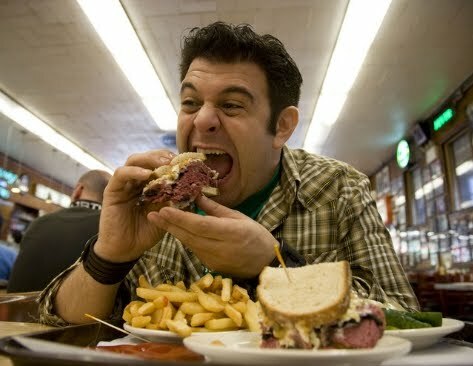 I’m not a big travel show or food show type of guy, but there’s something about Man v. Food that I can’t shake. Perhaps it’s because I’d love to travel around…or maybe because I rarely cook for myself…or simply because I find it so awesome that each of these cities has their own unique niche of food and there’s a story behind it. No matter what it is, MvF doesn’t make you work too hard mentally and will make you chuckle from time to time. Isn’t that we really want with shows like this? With the Billy Burger challenge right here in Manchester, NH, perhaps one day I can meet my new hero in person and be one of the hokey people cheering him in the background. 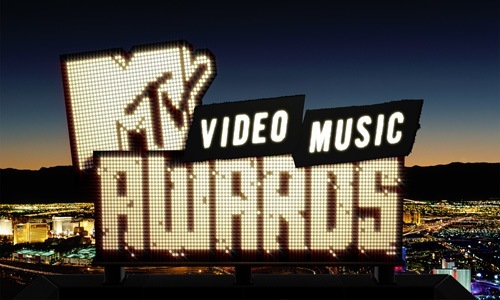 Josh Nason is a freelance journalist for hire, writing on mixed martial arts (UFC), Boston sports and email marketing but dabbling in his loves of music, comics, movies, TV and more. Follow him at Twitter and make his day, will ya? 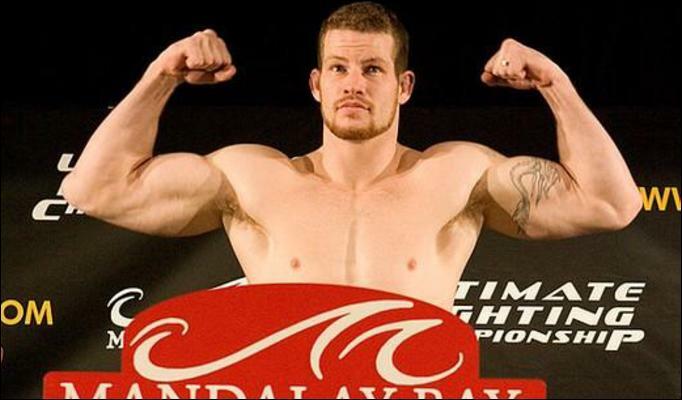 Even with 40 professional fights in 10+ years as a mixed martial artist, Nate Marquardt is not even close to thinking about retirement as one goal still eludes him: the UFC Middleweight Championship. 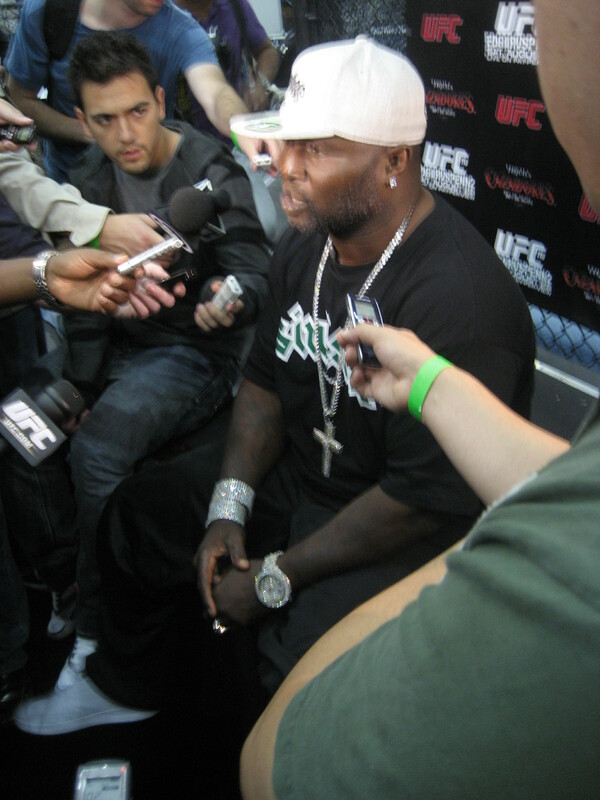 That body will be main eventing this Wednesday’s UFC Fight Night 22 card against Rousimar Palhares in Austin, TX, in a fight that will could help determine who gets the next shot at the gold currently held by Anderson Silva. For the full feature, here you go.